With a gold medal to mirror almost every day Phelps has been swimming at a professional, competitive level, perhaps even “extraordinary” is too bland of a word to describe his success. He’s one of the most renowned Olympic athletes in North America as of 2016, and if you’ve paid any attention to the United States’ performance at Rio this past year, you probably know quite a bit about him already! Michael Phelps is a professional sports competitor that specializes in aquatic aerobics and exceptional swimming. He’s been an active member of the Olympic community for over 15 years, and has been swimming athletically for a significant portion of his life. The 2016 Summer Olympics in Rio mark the 5th instance of Phelps’ involvement in the Olympic Games. He’s is known and respected internationally for his dedication and talent, not to mention his loud personality! 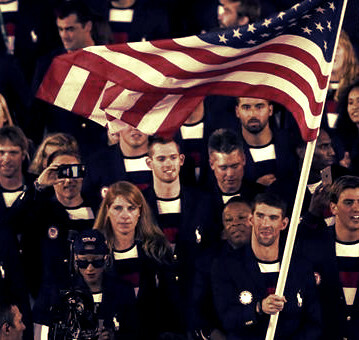 Born in 1985, Phelps grew up and attended school in Maryland. The youngest of 3 siblings, his swimming career started when he was still in grade school. With a seemingly-bottomless pool of athletic energy and determination to draw from, as well as some influence from his older sisters, Whitney and Hilary, Phelps quickly proved himself as a capable swimmer and his career (albeit, unofficially) began. In middle school, Phelps was clinically diagnosed with Attention Deficit Hyperactivity Disorder, which would help to articulate his dominance in aquatic sports. His adolescent swimming years alone promise excellence, boasting several long and short course records. Phelps consistently outperformed the competition at various phases in his age development. Phelps’ athletic prowess in competitive swimming is, in a word, remarkable, given his record and commitment to the sport. Phelps’ natural talent and cultivated skill both contributed to his qualification in the 2000 Summer Olympics. Though he won no medals for his participation in this competition, he still proved himself a capable athlete nonetheless, and at the staggering age of 15! 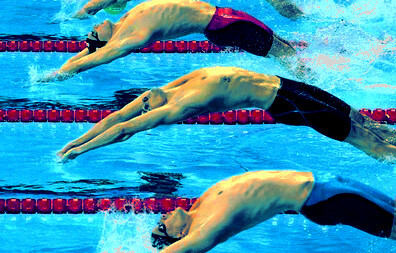 This phenomenon made Phelps the youngest athlete on the U.S. Olympic Swim Team in over half a century. Indeed, the 2000 Olympics set a precedent for Phelps, whose athletic career was only just beginning. For the next few years, Phelps trained and performed with utmost effort and endurance in various swimming national and international championships. In 2001, he became the youngest Olympic swimmer to break a world record (the 200-meter butterfly) to date. Phelps continued to break barriers in 2002 and 2003 at the Pan Pacific championships and the World championships, respectively. His conquests at these competitions would more than prepare him for the next Olympics in the summer of 2004. In his career leading up through 2016, Phelps has since accumulated a grand total of 28 Olympic medals (23 of which are gold), and is (presently) the most decorated Olympic athlete in history. Not only that, but his performance has never wavered, even after his retirement in 2012 and subsequent resurgence in 2014. At 31 years old, Phelps still continues to swim at not just a mightily respectable, but also a professional level. Since the conclusion (and revival) of his Olympic career, Phelps has become much more than just another great athletic swimmer to the people of the U.S., as well as the world. As a decorated, veteran Olympian and capable athlete, Phelps’ responsibilities and conduct at the 2016 Summer Olympics were anything but simple. His performance at qualification marked him as the 2nd U.S. athlete to qualify for 5 Olympics, and not only was he featured in several events (5 of which he received a gold medal for) he also attended the 2016 opening ceremonies with the responsibility of flag-bearer for the United States. 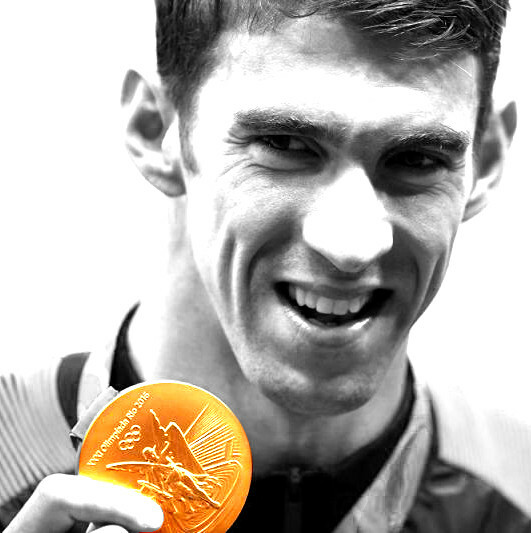 By the conclusion of the competition, Phelps had added 6 medals to his collection and retained his lead as most successful Olympian in history. Despite his age, he has demonstrated exceptional skill and resilience in competitive swimming. Though he may choose to permanently conclude his athletic career in the near-future, he seems more than prepared, physically and emotionally, to continue it for some time. Speed, power, and precision in the water…the world at large looks forward to many more exciting, inspiring years of Michael Phelps. This entry was posted in Olympics, Other and tagged 2016 Olympic Games, 2016 Summer Olympics, Greatest Moments, Michael Phelps, olympic athletes, Olympic swimming, Rio 2016, sport, sports, sports and fitness, sports and training, Sports Archives, Sports Blogs, sports history, sports performance, Swimming. Bookmark the permalink.